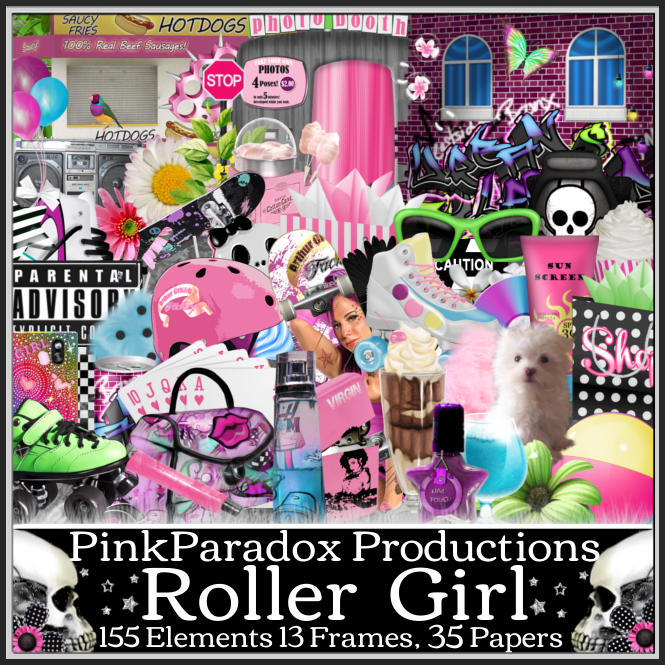 PinkParadox Productions Creative Team: My Results From "Roller Girl"! My Results From "Roller Girl"! From the boradwalk to the skating rink! With touches of urban along the way! Perfect for those roller skating & skate boarding tubes! With tons of other options as well!! It has 155 elements,13 frames & 35 papers! You can pick it up here for $1.75!